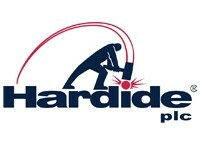 Philip Kirkham, CEO of Hardide plc commented: “We are pleased to announce record revenue underpinned by a recovery in demand from the oil and gas sector, particularly from new customers with applications where the Hardide coating offers them significant technical and commercial advantages. We are continuing to work with these customers to explore further opportunities and are optimistic for the future. 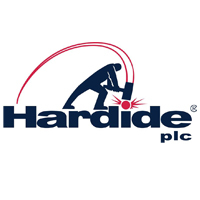 Hardide Plc (LON: HDD), the developer and provider of advanced surface coating technology, today announced that it expects revenue for the year to 30 September 2018 to be ahead of market expectations and in excess of £4.4 million with EBITDA for the year to be in line with market forecasts. This record revenue is primarily due to stronger than expected demand from the two major supply agreements previously announced – one being with a major international oil and gas operator and the other with a global provider of drilling completion technology, as well as the general recovery in demand from the oil and gas sector. Costs associated with these contracts are greater than usual, due in one case to the sophisticated geometry of the component, which requires an unusually-high amount of process gas. In the other case, Hardide is responsible for the full supply of components including the metal and manufacturing costs. As a result of these factors, the gross margin percentage on this additional business is lower than ordinarily experienced. In order to manage the high growth rate of the business, the cost base has been increased in line with projected demand and ahead of revenue. Accordingly, the Group expects EBITDA for the year to be in line with market forecasts.